Washboard Falls is a 5 metre (16 feet) high, 6 metre (20 feet) wide classical cascade waterfall located approximately 100 metres upstream from Tiffany Falls. 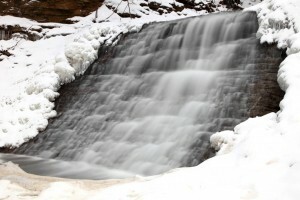 Sometimes referred to as Upper Tiffany Falls, it has year-round flow. 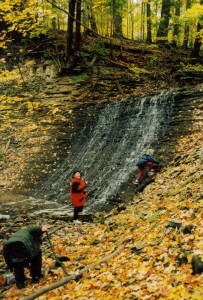 Because of its proximity to Tiffany Falls, the two waterfalls have a shared historic background. 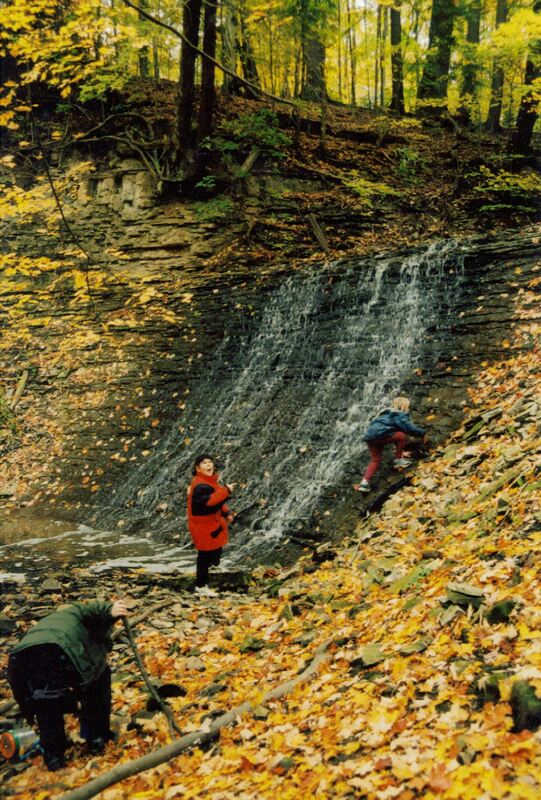 Washboard Falls is featured on Joe Hollick’s “Waterfalls of Hamilton- Autumn” poster. If you own or have access to this poster, note the children playing in the foreground. Apparently the local kids know of this waterfall and visit it by crossing over private property, which is the easiest way to reach it. 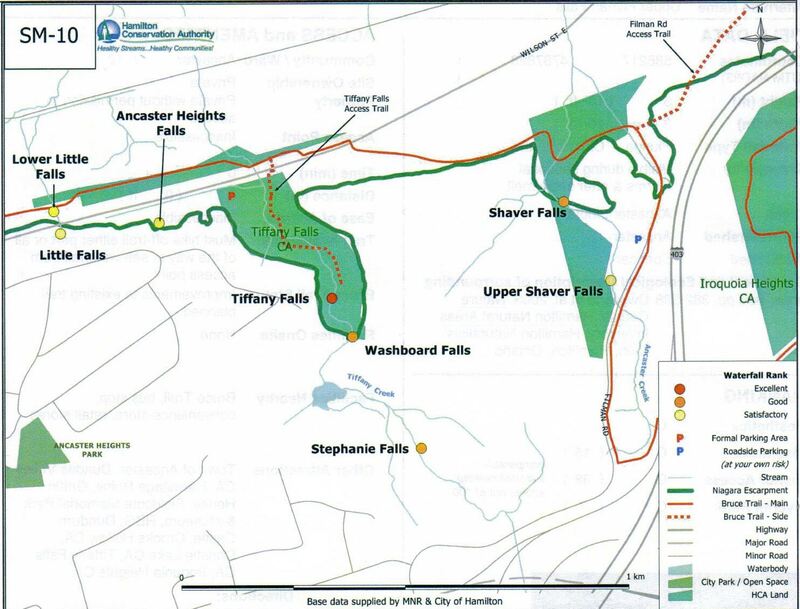 Please note the the property above Washboard Falls is private property and the owner has requested people stay off of his property. 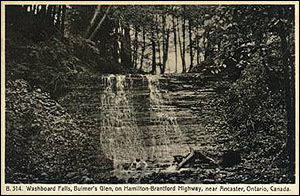 Washboard Falls has also appeared on vintage postcards. 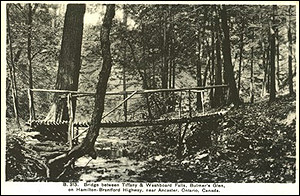 Driving and trail directions are the same as those for Tiffany Falls. 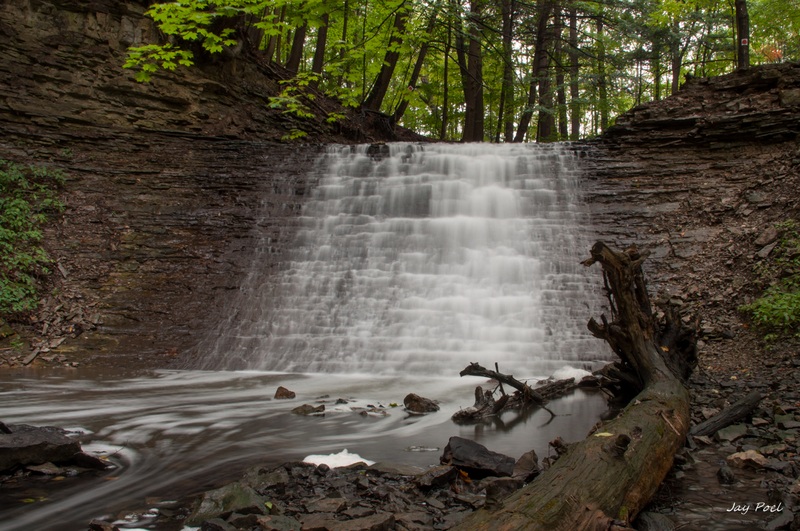 As of now, however, access to Washboard Falls is extremely difficult. It is located on Hamilton Conservation Authority lands, but the only way to reach it – without going onto private property- is to climb the steep hill to the left of Tiffany Falls and follow the creek upstream for 100 metres. This climb is very dangerous and should be attempted only by those who have proper hiking equipment.